The Historic Compromise (Italian: Compromesso storico), called also Third Phase (Italian: Terza Fase) or Democratic Alternative (Italian: Alternativa Democratica), was an Italian historical political alliance and accommodation between the Christian Democrats (DC) and the Italian Communist Party (PCI) in the 1970s. In 1973, the Italian Communist Party's General Secretary Enrico Berlinguer launched in Rinascita (a communist magazine) a proposal for a "democratic alliance" with the Christian Democracy, embraced by Aldo Moro. The call for this alliance was inspired by the overthrow of the Allende Government in Chile. 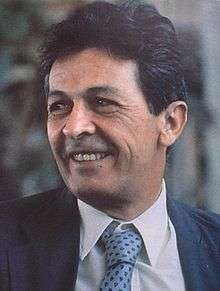 For Berlinguer, the events in Chile proved that the Marxist left could not aspire to govern in democratic countries without establishing alliances with more moderate forces. After the 1973 Chilean coup, there was cooperation between the PCI and DC that became a political alliance in 1976. Then Berlinguer's PCI attempted to distance itself from the USSR, with the launching of "Eurocommunism" along with the Spanish Communist Party and the French Communist Party. However, the Compromise was unpopular among the other moderate leftist groups like the PRI and PSI, led respectively by Ugo La Malfa and Bettino Craxi. Also the rightist Christian Democrat Giulio Andreotti had doubts about the accommodation. Finally, the PCI started to provide external support to a Christian Democrat one-party government led by Andreotti. Despite this, several radical communists in the PCI boycotted the government, there was an increase in far-left terrorism, mainly committed by the Red Brigades (Italian: Brigate Rosse, BR). 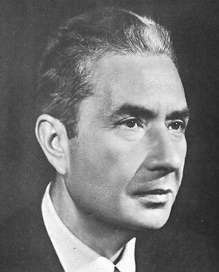 The BR kidnapped Aldo Moro, the then President of DC, on March 16, 1978. After several consultations in the Italian Parliament, the government refused the terrorists' conditions, and Moro was killed on May 9, 1978. A strong anti-communist sentiment raised, and the PSI, along with the far-right Italian Social Movement (MSI) increased their votes in the 1979 election. Nevertheless, the Compromise continued but it was in decline. At the DC XIV Congress of 1980, the DC's moderate wing ("Democratic Initiative", "Dorothean" and "New Force") won with an anti-communist program, obtaining the 57.7% of the vote, while the DC's conservative wing and Giulio Andreotti's faction "Spring", ironically, obtained 42.3% with a pro-Compromise programme. The new DC Secretary became Flaminio Piccoli, a Dorothean, and the Compromise was discontinued. On November 1980 Berlinguer announced the end of the Historic Compromise. ↑ Fallaci, Oriana (1974). Intervista con la storia. Rizzoli.